A page from an illuminated manuscript showing The Virgin Annunciate by the renowned 16th century Croatian artist Juraj Klović (known in Italian as Giulio Clovio) was sold at Bonhams Old Master Paintings sale in London on 8 July. It was estimated at £15,000-20,000 but ultimately fetched £37,500. 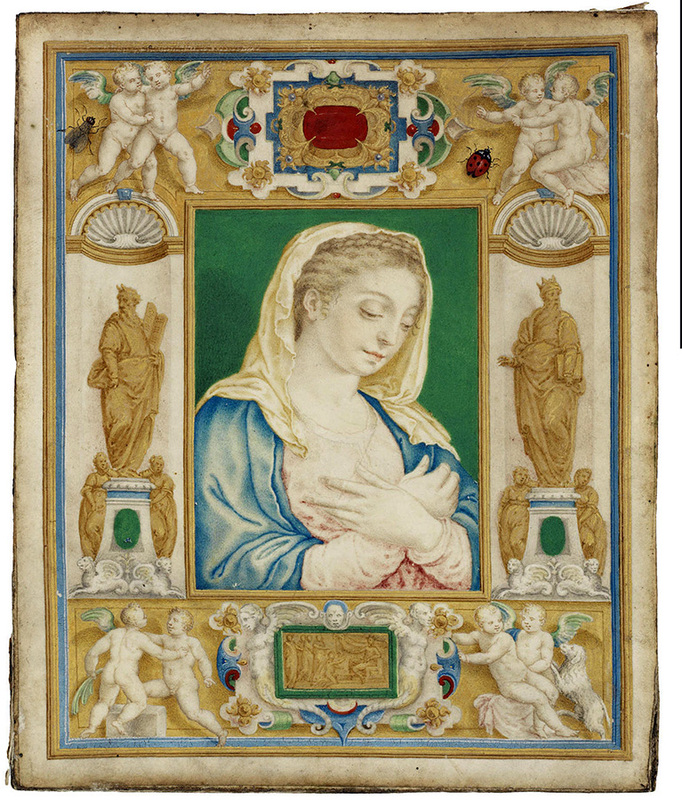 The unframed page is 14 x 11.5 cm in size and shows the Virgin surrounded by a decorative border containing niches with statues of Moses and King Solomon, playful cherubs and decorative cartouches with trompe l’oeil insects. Juraj Klović was born in Grižane, Croatia, in 1478. By 1516 he was in Venice painting his first miniatures after Albrecht Dürer under the name of Giulio Clovio. Thence he traveled to Perugia, where he produced between 1534 and 1538 what is now known as the Stuart de Rothesay Book of Hours, and then to Rome. In 1539 he entered the service of Alessandro Farnese for whom he created his masterpiece, the Farnese Book of Hours, on which he worked from 1537-46. The work in the sale is likely to have been produced towards the end of this period. 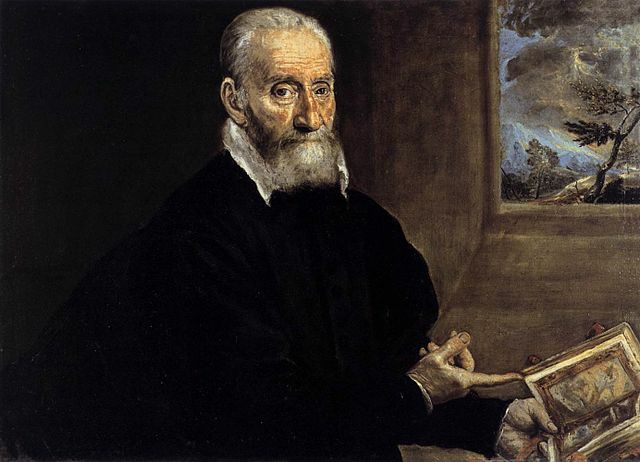 By this time Klović had established himself as a member of that elite of the High Renaissance whose members achieved widespread acclaim during their own lifetimes: Giorgio Vasari was to refer to the miniaturist as the new and little Michelangelo. El Greco painted two portraits of Klović.